The HSB DIGI-FS 8 is a real all-rounder: DIGI finisher, folder stapler and conventional saddle stitcher in one and thus a truly small revolution for print processing. 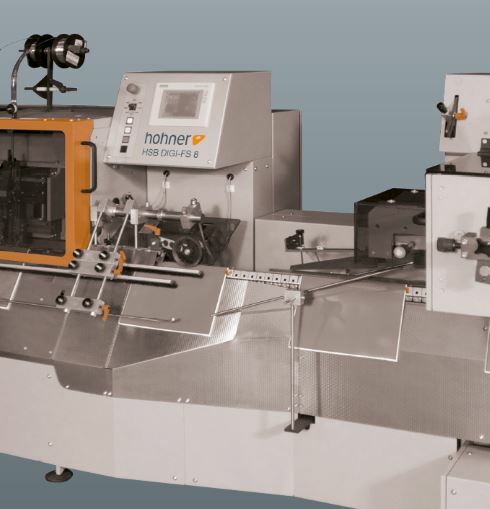 Depending on the requirements, ultra-compact or expandable to a large plant, it offers the typical Hohner user-friendliness and the highest flexibility. This hybrid plant is the result of merging the previous separate processes of folding, joining and stapling in conventional or in the DIGI finisher mode, while taking into account the highest possible flexibility. It offers the new technically possible possibility, Planobogen directly from the printing press or also the sheets cut by the print roll in the subsequent folding process to a complete brochure (consisting of contents including cover with the same gram). This means an extreme simplification for further processing; The already folded folded booklet is only stapled in the high-precision wire-stitching unit and thrown from there into the trimmer and the display. As a result, single sheets, folded sheet and reversing sheet systems, as well as always problematic interfaces, for example, completely deviate from the compilation machine. In this way, the folding machine can also be folded and laid out, and a separate brochure production can be carried out simultaneously in parallel operation via the saddle stitcher.